Toni Lucas - The Metis Nation Local 1880 Association was recently awarded a $16,000 Government of Alberta Community Initiatives Program (CIP) Grant for their Circle of Balance Project. 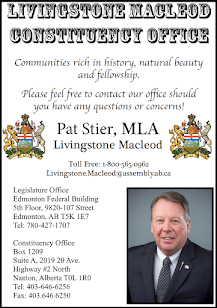 The cheque was presented by Livingstone Macleod MLA Pat Stier on Monday, November 14 at the Metis Association offices in the Provincial Building in Pincher Creek. "We are going to be using it as a mentoring program with our youth, and with our elders," said President Gail McLenaghan. 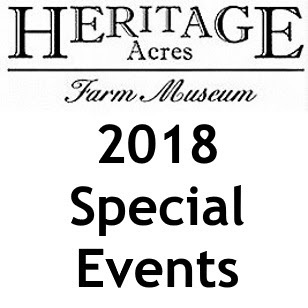 The Association is hoping to expand awareness of the Metis culture, history and heritage, not only with those who have an ancestral link to this background, but also for people who have an interest in learning more about who the Metis are and how the culture was created and developed. Metis Elders Frances Riviere and Ed Desjardins explained the role elders hold within the Metis community, as mentors who help disseminate knowledge and as the keepers of wisdom and tradition. Stier accepted two books written by Riviere, 'Washing at the Creek' and 'Bittersweet-Full Circles' as well as a thank you certificate commemorating the donation. After the ceremony traditional bannock and Saskatoon soup was served demonstrating traditional cooking. Great Job reporting Toni. Much appreciated.